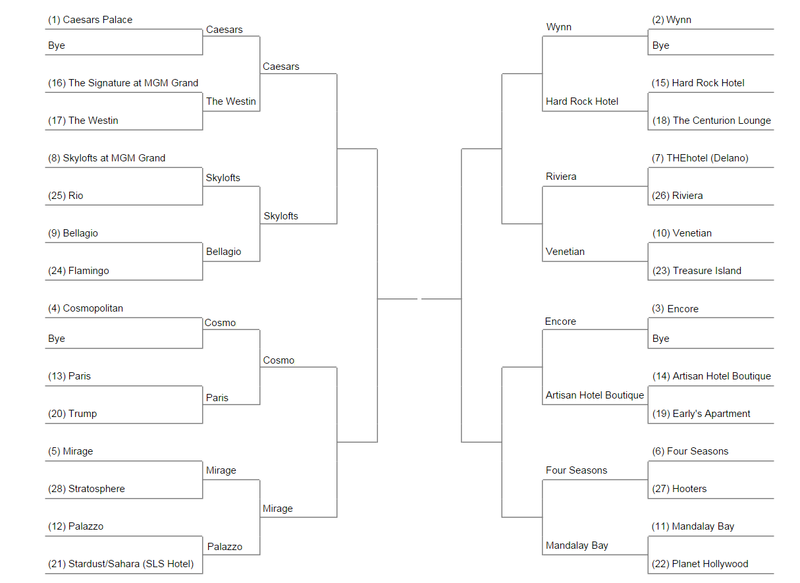 3 weeks of the Knockout Bracket and still so many hotels vying for a shot at the title. That can only mean one thing: I’ve been to Vegas far too many times. Last week the Westin put up a valiant fight with its heavenly bed while the Bellagio became the joke of the town. The Paris had me spoiled with the glamour of gold while the Palazzo graciously took my money at the Strip’s best sports book. All Vegas’d out, Alex is heading to Rehab to see what comes next.